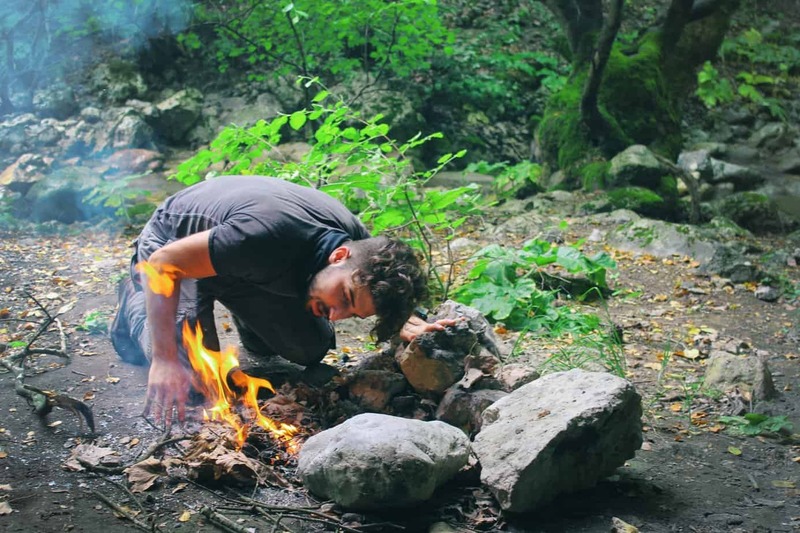 While most of enjoy the splendor and beauty of nature, we don’t necessarily enjoy the “roughing it” part. Sleep is important when you’ve spent a long day outside. Some boast the ability to sleep on every surface, but let’s face it, that’s not nearly as comfortable as a cot. Sleeping on the hard ground is bound to leave most tossing and turning all night. How Easy is Set Up? Durability Concerns – Will it Last? Camping cots are an excellent solution to this problem. However, with so many options to choose from it can be difficult to find the right match for your needs. 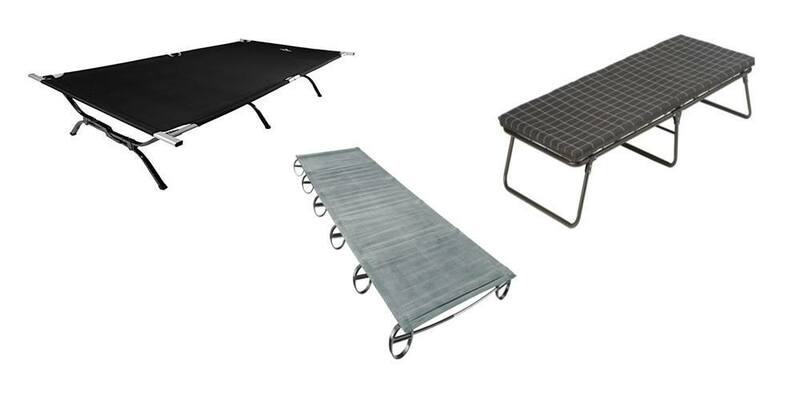 Today, we will be reviewing the top three camping cots on the market (from personal experience). Whether you are a backpacker or a luxury camper I can guarantee that one of these will fit your needs. The Coleman ComfortSmart Deluxe is your standard camping cot. It offers comfort, durability and an easy set up. If you’re looking for something a bit more robust, the much larger Teton Sports Outfitter XL Cot may be the choice for you. With a 600lb capacity, this is ideal for heavier set people or couples looking to snuggle under the stars! Both of those products are geared towards car camping. The weight of the cots is too heavy to be carrying for long distances. 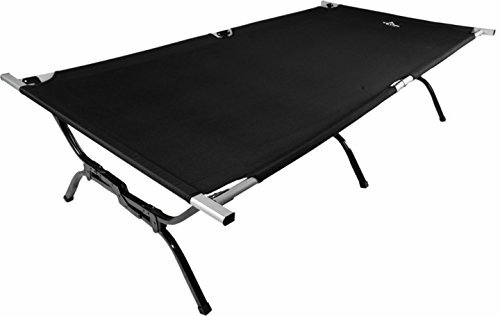 For the real and rugged campers there is the Therm-a-rest Luxurylite, a revolutionary cot that is extremely portable while still keeping your off the ground! All three are excellent products. It’s up to you to determine which ones fits your needs the best. Weight 16.5 lbs. 2 lbs. 26 lbs. Comfort is a huge factor when purchasing a cot. It’s the bare bones reason that you have decided to stop sleeping on the ground. Of these three products, the Coleman ComfortSmart Deluxe is the only camping cot comes with a thick foam mattress and spring coil suspension system. This base offers a standard of comfort that can then be built upon if desired. Most importantly, this mattress prevents your sleeping bag from getting caught on the springs, unlike other designs. The Teton Sports Outfitter XL Cot is similar in design. A mattress of pad can be bought separately, if desired, but most have found it to be just fine without it. Customers do warn that while the fabric may be very comfortable when it’s new, this is a product that will sag in time. When that occurs, a sleeping pad is a must. As for the Therm-a-rest Luxurylite the fabric will never stretch. It is quoted as being very comfortable, especially if you throw a thermarest on top. Additionally, the BowFrame technology eliminates the need for painful crossbars! The size of a camping cot is really what determines what it can be used for. You wouldn’t dream of taking the Teton Sports Outfitter XL Cot on a canoe camping trip. Clocking in at about 26lbs, it is far too large and heavy. However, for drive in camping, it’s a great option. The size of the Teton Sports Outfitter XL Cot is perfect for couples that like to go camping and stay comfortable. At three feet wide and seven feet long, it is slightly larger than a double. The Coleman ComfortSmart Deluxe could be called its little brother. It is roomy for one person, but two would be an uncomfortable squeeze. This camping cot can fit anyone shorter than 6 feet and 6 inches, with space on the side. It’s carrying capacity sits at around 300lbs. For most, this will be comfortable and remarkably roomy. The Therm-a-rest Luxurylite is unique in that it comes in three different sizes allowing customers to find the right fit. At a 325lbs capacity, it can also support more weight that the Coleman ComfortSmart Deluxe. When is comes to compression, the Therm-a-rest Luxurylite takes the cake. Weighing in at only 3lbs, this camping cot can be easily taken apart and stored in your backpack (along with your other gear!). 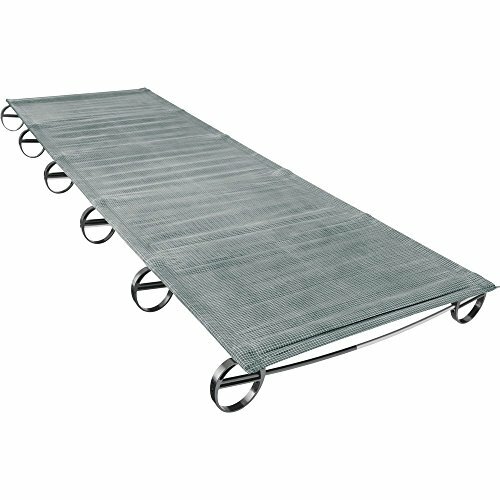 This is a camping cot that is very easy to transport and carry. The same cannot be said for the Teton Sports Outfitter XL Cot or the Coleman ComfortSmart Deluxe. With much heavier weights (26lbs and 16.5lbs respectively), transportation isn’t nearly as simple. While they do fold up, their final size is more ideal for car transportation. If compression and transportation is a major deciding factor, the Therm-a-rest Luxurylite is definitely the best option. A crucial factor when buying a camping cot is the speed and simplicity of the set up. In this case, the Coleman ComfortSmart Deluxe is our clear winner. With easy to use instructions, you will have this cot up and running in no time. The Therm-a-rest Luxurylite is a bit more complicated, mostly because of its unique build. 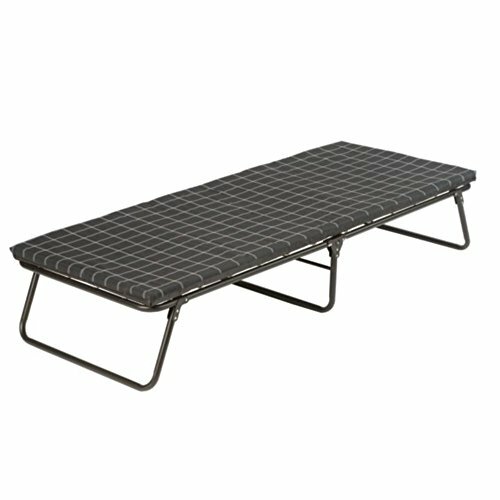 Unlike most cots, the Therm-a-rest Luxurylite is very close to the ground and does not use crossbars to support the weight. It can be a little awkward to set up. But, once you get used to it, it can be done in less than 3 minutes (by my timing). The hardest by far is the Teton Sports Outfitter XL Cot, and not because it’s complex. The initial set up is simple on the page, but harder to execute in real life. The fabric must be stretched over all four corners. Due to the tightness required, you will need some serious muscles to get it over the last corner. Most have had to use some sort of leverage device (a strong stick or crowbar) to get it over. It is strange that the cot doesn’t come with anything to help out in that respect. All three of these products are highly durable. The Coleman ComfortSmart Deluxe consists of a heavy-duty steel frame and high quality pad. However, constant use can cause the fabric to sag and the joints to squeak. These issues can be fixed by Coleman, but only if they occur within the warranty period. The Therm-a-rest Luxurylite is designed using stretch free fabric, anodized aluminum poles and lightweight nylon feet. Being much closer to the ground that the other two, the support system takes less abuse through the years. The framework, while very unique in appearance, is extremely solid. If anything does break you’re covered under an unlimited lifetime warranty! The Teton Sports Outfitter XL Cot is perhaps the least durable, but that is mostly due to its size. With a steel leg design can rust if not taken care of properly. While the frame won’t creak or bend with shifting weight, the fabric will most likely stretch in time. This cot comes with a Limited Lifetime Warranty, so not all repairs will be covered. Overall, all three of these camping cots are excellent products that will serve your needs. What it really depends on is your purpose. For heavier people or couples who enjoy car camping, the Teton Sports Outfitter XL Cot is a no brainer. It will provide the space and weight capacity needed to make your trip comfortable and simple. For something along the same lines, but smaller and more compact, you can turn to the Coleman ComfortSmart Deluxe. With its smaller size, you can expect comfort with the added bonus of being more space efficient. However, if it’s serious camping and backpacking that you are into, the Therm-a-rest Luxurylite is a clear option. It will keep you off the ground, leaving you comfortable and warm. Additionally, it is extremely light and portable. The choice is yours.